So Life Like You'll Sear You Just Saw It Move. The elements of design, emotion and anatomy dictate the unique impact of each piece. With all of these elements combined, we have endeavoured to make our mounts based on of the highest forms of wildlife art. 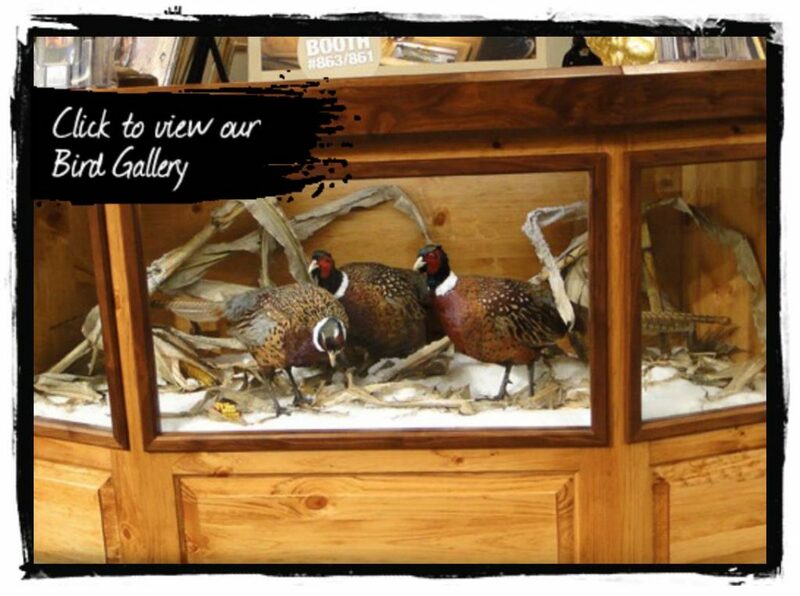 The pose and position of the bird is determined from every angle and if a custom display is required, an artistic diorama is designed to incorporate the mount in a life like setting that exudes natural balance and motion. Every piece is genuine. Internationally known for innovative designs, Advanced Taxidermy is one of the industry’s most inspirational and successful studios. Driven by true passion for the outdoors, we continuously strives to improve quality and bring diversity to their work. Using the best material and proper procedures Advanced Taxidermy ensures that our clients will have a mount that will last forever.